An Edinburgh based architect about whom little is known. 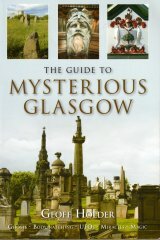 Adamson has been tentatively identified as the designer of the Gothic-style stonework of the Albert Bridge, the most richly ornamented bridge over Glasgow�s River Clyde (1868-71). Adamson complimented the bridge�s Medieval parapets; tracery and stiff-leaf carver work with a fine display of heraldry, including shields bearing the arms of Glasgow, Lanark, Renfrew, Ayr, the Trades House, Merchants House, Glasgow University, and the Royal Family. The engineers R.B. & D. Miller, who designed the bridge's ironwork; Hannah, Donald & Wilson, of Paisley, who cast its spans and lamp standards; the pattern makers Kay & Reid, who modelled the shields and lamps in wood prior to casting; and G E Ewing , the most successful sculptor of his day in Scotland, who produced the bronze medallion portraits of Queen Victoria and Prince Albert for the bridge�s abutments.